How to join with the Ladbrokes Promo Code? How to place a Bet at Ladbrokes? All the new customers in the UK have the opportunity to benefit from the latest Ladbrokes sign up offer. A new customer welcome bonus (18+ | T&Cs Apply |) can be claimed by registering, using the Ladbrokes promo code and then depositing. To receive the welcome bonus you should begin by registering as a new user and entering the correct Ladbrokes Promo Code. Once you have done that there are some key terms above that you should be aware of. Please note that the above Ladbrokes new account offer is for UK customers only who are over the age of 18. *Accounts can be deleted or closed, and customers can self-exclude if a problem exists that affects their financial and personal well-being. Self-exclusion is a facility for people who think their gambling is out of control. Customers make an agreement with Ladbrokes that prevents them from betting for a specific period that can be up to five years. Customers who believe they have a problem are advised to seek help from Gamcare and Dunlewey Addiction Services. The company also offers a procedure for making complaints and offering feedback. Before placing a bet and using the Ladbrokes promo code, you must select the sport, league, and market. Once the relevant odds are displayed click on the selection at which point a bet slip appears. The slip shows the match or event and selection. There is a prompt to enter the stake which leads to the total stake and potential winnings being displayed. When more than one selection is chosen there is a choice of bets, singles or multiples. At any time all items that have been selected can be removed. A box containing the words ‘PLACE BET’ must be clicked for the bet to be confirmed and then selected. Customers can display all open bets in this part of the website. Ladbrokes is one of the oldest bookmakers in the world and historically offered credit betting by telephone. When licensed, betting offices were legalised in Great Britain in 1961. The organisation claims to be the biggest bookmaker in the world and has now had interests in several countries. Ladbrokes is a major sponsor of horse racing and other sports events in the UK. Football-wise Ladbrokes is the sponsor of the Scottish Professional Football League. Ladbrokes can boast owning a wide portfolio of various brands some of them including Coral, Betdaq, and Eurobet. Ladbrokes are a well-established brand, especially in the UK. However, senior managers recognised that the digital products were falling behind the competition and investment was required. 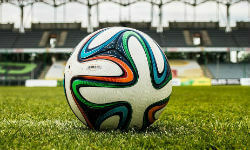 The digital service was overhauled and there has been some improvement most notably during the 2014 soccer World Cup. Gaming machines in betting offices are performing well but could be subject to stringent staking limitations resulting in the closure of some high street retail outlets. Ladbrokes are a UK company but has interests in Belgium, Spain, Ireland, Australia, the United States and China. Despite investing overseas Ladbrokes are still the leading betting brand in the United Kingdom. The Ladbrokes homepage features a horizontal menu at the top of the page and the first option is sports. Users can also display an A to Z and this totals 28 sports in addition to music, politics and TV and Specials. The Ladbrokes sports page also shows all in-play betting markets and the sports betting highlights of the day. As it can be noticed, there are several things one could use their Ladbrokes promo code on. In addition to the A to Z list, the most popular betting sports also appear on the main sports navigation bar and these are football, horse racing, cricket, tennis, and golf. There is a separate menu option for football bets that can be placed using a coupon. Users can also access the current promotions and in-play events from this secondary menu. Sports that are available for in-play betting include football, cricket, tennis, and volleyball. In addition to the A to Z list, the most popular betting sports also appear on the main sports navigation bar and these are football, horse racing, cricket, tennis, and golf. There is a separate menu option for football bets that can be placed using a coupon. Users can also access the current promotions and in-play events from this secondary menu. Sports that are available for in-play betting include football, cricket, tennis, and volleyball. The Ladbrokes mobile app looks and works just as well as their web page, so you will easily find your way around. You will find that the default is ‘next races’, which shows you any race meetings which are upcoming and you will be able to find three tabs at the top of the screen which allows you to switch to ‘highlights’ and ‘in-play’ options. The usability of the whole app is great for anyone new to betting too as you have everything neatly displayed and accessible. What many bettors love about the app is the fact that you can still access hundreds of options meaning it is very easy to place as many bets as you want. When it comes to betting using the Ladbrokes app, the minimum bet you can place is £10 which is a manageable amount, or alternatively, you can use the quick bet function which many people appreciate too. Using Ladbrokes promo code and making a deposit could not be easier. All you need to do is to choose the deposit section from the page and then you can easily add funds to your account. With Ladbrokes app, you do not have limited deposit options, unlike many other sites, which is definitely a bonus too. As well as this, Ladbrokes app offers a vast majority of markets and most bet types. You can download the Ladbrokes app on your Windows, Android or iOS Phone, and also use the Ladbrokes promo code on your mobile device. The Ladbrokes Casino menu features options for promotions, quick start, help, mobile, games, VIP, news and Sunday Market which is used to show prizes and bonuses that are on offer to casino players. Ladbrokes promo code can be applied to a wide range of casino games. Get the Ladbrokes Casino Promo Code to get a £50 welcome offer when you play with £10. These include roulette, blackjack, slots, table games, card games, jackpots, top 50 games, new games, TV and movies, video poker and scratch cards. All the classic three-reel and five-reel slots games are offered to customers. Within the live environment, customers can play roulette, blackjack, Hold’em and baccarat. Ladbrokes Casino has many different options such as; roulette, blackjack, slots and video poker games to choose from. Something which has become very popular amongst bettors is that you are easily able to download the Ladbrokes app or casino app – so make sure to check them out. Ladbrokes offer their customers an extensive range of gambling games which can be found using a search facility or selected from a vertical menu. All the most popular games are featured under the headings of 5 reel slots, 3 reel slots, jackpots, table and card games, arcade games, video poker, keno/numbers, and scratch cards. This section also includes betting on virtual sports including dogs, soccer, horses, and darts. Customers have to create an account to play games with real money. Current Jackpots and the total in jackpots are displayed on the right-hand side of the Games homepage with a name and graphic for each game. A news section includes topical stories associated with online gaming. Log into your account and click on banking, which you will find at the top right-hand side of the website. Then, all you need to choose the option of; ‘Deposit’. Subsequently, enter all of the requested details and then click on deposit to complete your transaction – your account will then be credited with the funds. If you want to, you can also choose one of the secure banking methods to fund your account then click the ‘Deposit’ button. However, something which you should definitely keep in mind is how your account with Ladbrokes works. For example, it is separated into wallets for different products including Ladbrokes Vegas and Ladbrokes Live Casino. It is very important to ensure that you are depositing in the wallet which you intend to use before you bet. Do not worry if you make a mistake. You will find that transferring funds using Ladbrokes is easy. Their multi wallet system allows depositing directly into a wallet or transfer funds between wallets within ‘My Account’ tab. Something which many bettors enjoy is the fact that you can register up to 5 trusted and reliable payment methods. However, if something is not going right, then make sure to speak to customer services, or contact head office. When it comes to using Ladbrokes, you will find that their deposit limits are very flexible and it’s up to you to decide if you want to increase them. As well as this, both in and out transactions are run fast and smoothly. Ladbrokes have security measures in place to protect your information and they claim that this is very important to them – which is always reassuring. If you are using an E-Wallet, such as PayPal, then these payments have a minimum processing time of just 6 hours, which is pretty impressive. However, if you are using credit and debit cards, then these withdrawals will have a processing time of 3-5 Days. If you want to withdraw money from your account, then you simply need to follow through with a few steps. For example; first, you should go to the cashier and select Withdraw. From here, you will be able to choose the method which is best for you and once you have requested a withdrawal, it will be processed by Ladbrokes. Once everything has gone through properly, you will have the money credited to your bank or e-wallet, depending on your preferences. You should definitely remember that while the withdrawal is being processed by Ladbrokes, it is in a held status. However, while the withdrawal is in a held status you will be able to request for it to be cancelled. You can easily check out whether your withdrawal is being held in the My Account section of Ladbrokes. You may also want to keep in mind the fact that, usually, the bonus balance, unlike the real balance, carries wagering requirements that must be fulfilled. However, you can easily find out what these requirements are when you are reading about your Ladbrokes new customer offer. You can easily check out whether your withdrawal is being held in the My Account section of Ladbrokes. You may also want to keep in mind the fact that, usually, the bonus balance, unlike the real balance, carries wagering requirements that must be fulfilled. The help centre contains an FAQ section which includes e.g. help centre for banking, account, sports, exchange, Vegas, casino, live casino, games, bingo, poker, mobile and retail. Moreover, a customer may also find a section dedicated to responsible gambling with the Ladbrokes campaign, preventing underage gambling, parental controls, limits, keeping track of betting, staff training, staying in control, self-exclusion and help and advice. In the end, links to Gamcare and Responsible Gambling Trust can also be found in the Ladbrokes customer support. Ladbrokes are a leading UK gaming brand that is emerging from some difficult online trading conditions. 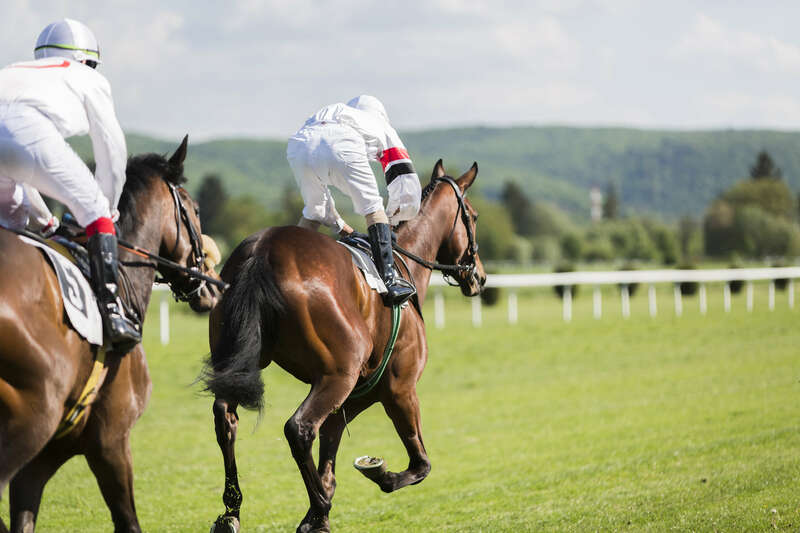 Some competitors, such as bet365, have been more effective in developing an online presence but Ladbrokes has recently gone into partnership to improve their sportsbook. The UK gaming market is becoming consolidated with several potential mergers that will bring together some majors players in the sector. The company has built a reputation for integrity through more than 10 years involvement in bookmaking. They consistently offer strong odds and customers have easy access to their money. Ladbrokes accept Visa and Mastercard credit and debit cards and does not charge a fee for transactions. The company offers an excellent sportsbook and racebook and a great casino and games product. Novelty betting is a good feature and each category has decent payout limits. The website is visually inferior to some of the competition but the functions of betting and banking are intuitive and easy to operate. On top of this Ladbrokes offer a great welcome offer with the Ladbrokes promo code.